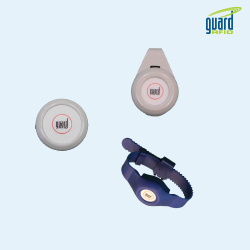 Designed for a number of use cases, the PT-3 tag includes a distinctive and effective call button that can be used to call for help and alert authorities in the event of an emergency or accident experienced by the holder. For staff in healthcare facilities, the threat of violence and injury is pervasive – 76 percent of all nurses experience verbal and/or physical violence, while 75 percent of 25,000 workplace assaults reported annually occur in healthcare settings (1). Workplace violence prevention programs are in place, but aren’t always a fast-enough solution against immediate threats. Remote workers in industries like oil and gas exploration or construction can be exposed to perilous conditions. Over a seven-year period, 823 oil and gas extraction workers were killed on the job – a fatality rate seven times greater than for all U.S. industries, with many fatalities due to falls, slips, trips and exposure to harmful substances (2). Accounting for where your employees are at all times is vital, particularly when cellphone coverage is poor.